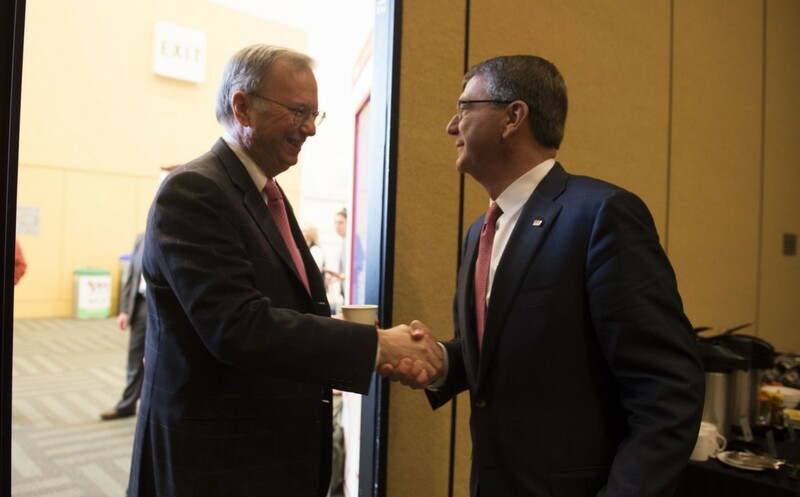 One of my core goals as Secretary of Defense has been to build, and in some cases rebuild, the bridges between our national security endeavor in the Pentagon, and the wonderfully innovative, open technology community of companies and universities that comprise one of America’s great strengths. We’ve had a long history of partnership, working together to develop and advance technologies like the Internet, GPS, and before that communications satellites and the jet engine — all to the benefit of both our society, and our security. 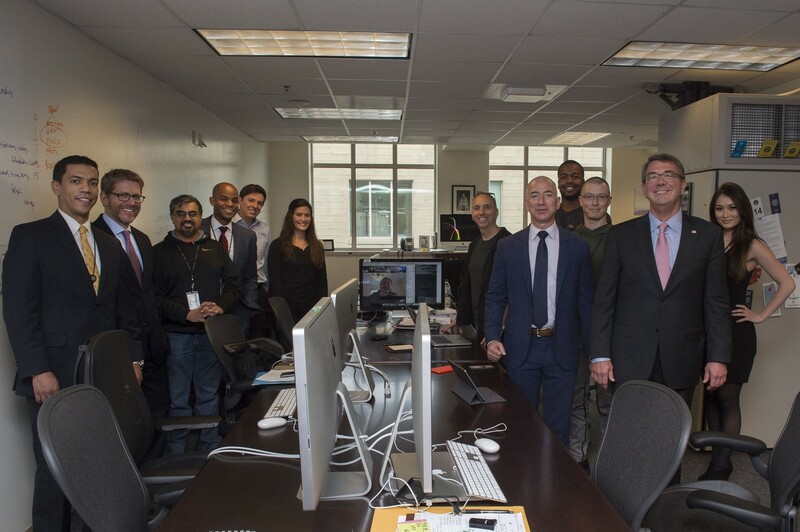 But when I visited Silicon Valley for the first time in my current job, a little over a year ago, I discovered that I was the first Secretary of Defense to do so in almost 20 years. So today, it’s was a pleasure to be back for my fourth official trip to the Bay Area since then to speak at our start-up, the Defense Innovation Unit-Experimental, or DIUx, and to share some exciting news about how we’re taking DIUx to the next level. When I announced that we were creating DIUx last April, I said it would be a first-of-its-kind unit, staffed by some of DoD’s best technologists, active-duty, and reserve personnel. We put our first outpost here, in the heart of Silicon Valley, to help us connect with leading-edge technologies and the entrepreneurs behind them. And we did it because we live in a changing and competitive world. When I began my career, in physics, most technology of consequence originated in America, and much of that was sponsored by the government, particularly the Department of Defense. 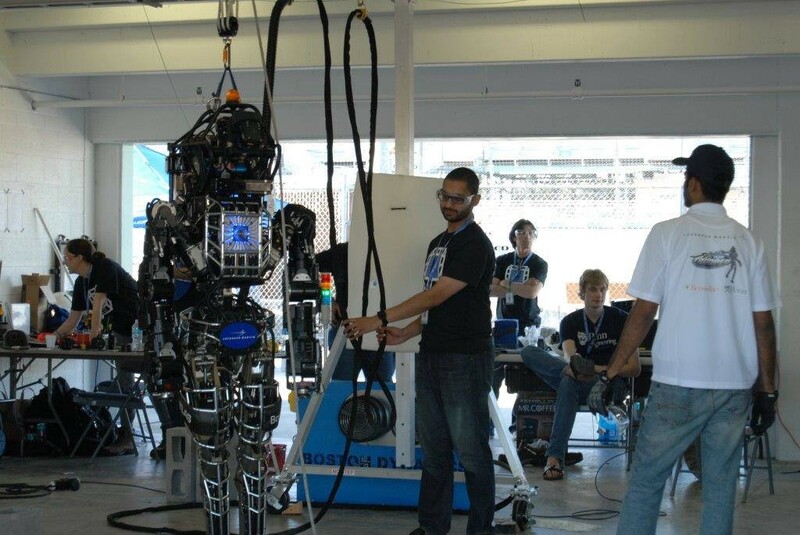 Today, we’re still major sponsors, but much more technology is commercial. And the technology base is global. Indeed, technologies once long possessed by only the most formidable militaries have now gotten into the hands of previously less-capable forces, and even non-state actors. And nations like Russia and China are modernizing their militaries to try to close the technology gap. So to stay ahead of those challenges, and stay the best, I’ve been pushing the Pentagon to think outside our five-sided box, and invest aggressively in innovation. One way we’re doing that is by pushing the envelope with R&D in new technologies, like data science, biotech, cyber, electronic warfare, and many, many others. In fact, in the budget I’ve been defending before Congress over the past few weeks, we’re proposing spending nearly $72 billion on research and development next year alone. For a little local context, that’s more than double what Intel, Apple, and Google spent on R&D last year combined. That money goes to fund things like making DoD a leader in cybersecurity, and advancing our commanding lead in undersea warfare. 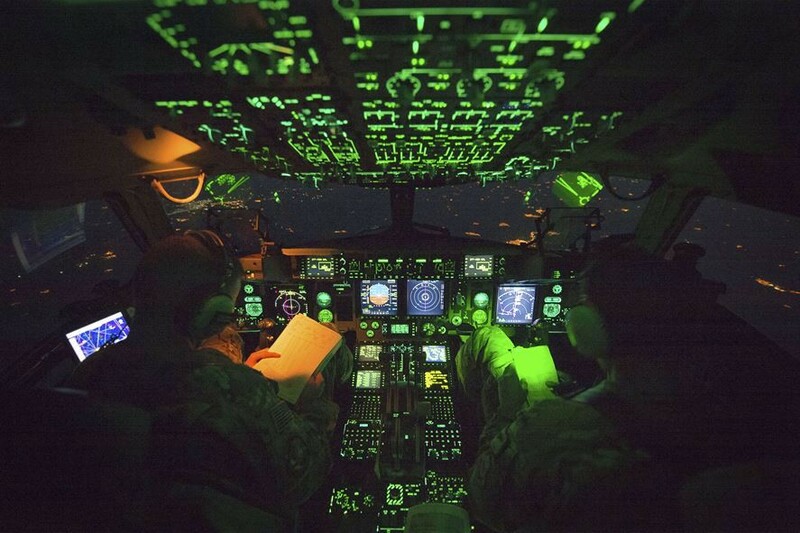 It invests in new strategic approaches to preventing and winning conflicts against 21st century threats, like hybrid warfare, counter-space systems, electronic warfare, and anti-access, area-denial capabilities. It enables taking long-existing systems and giving them powerful new capabilities — like the arsenal plane, which takes one of our oldest aircraft platforms, and turns it into a flying launchpad for all sorts of different conventional payloads. And, among other things, those funds support our nationwide network of public-private manufacturing innovation institutes, where we’re working with companies, universities, and research labs to fund emerging technologies like 3D printing, advanced materials, integrated photonics, and digital manufacturing and design. One brand new one we just announced last month is focused on revolutionary textiles, combining fibers and yarns with things like circuits, LEDs, solar cells, electronic sensors, and other capabilities to create fabrics that can see, hear, sense, communicate, store energy, regulate temperature, monitor health, change color, and much more. Another we announced last fall — at Moffett Field — is focused on flexible hybrid electronics, which will make it possible to seamlessly print lightweight, flexible structural integrity sensors right onto the surfaces of ships, bridges, cars, and aircraft. And those are just a few examples of how we’re intent on expanding the boundaries of what’s possible in technology. Another way we’re investing in innovation is by building what I call on-ramps and off-ramps for technical talent to flow between DoD and the tech sector in both directions. That way, more of America’s brightest minds can contribute to our mission of national defense. And our outstanding military and civilian leaders and technologists across DoD, and in the innovative defense industry that supports us already, will be able to interact in new ways with innovation ecosystems like DIUx. One example of this is our new Defense Digital Service, which brings in technologists ranging from larger companies like Google, to start-ups like Shopify for what we call a tour of duty. These are talented people who come in to DoD just for a year or two, or maybe a project, but make a lasting contribution to us and to our mission, and also experience being be part of something bigger than themselves. And they’re helping solve some really important problems. They improved DoD’s data sharing with the VA, to help our veterans get faster access to the benefits they’ve earned. They’re working with a team that’s developing a better and more secure next-generation GPS, to be used by billions of people around the world — military and civilian alike. They have a team right now improving our systems for tracking sexual assaults, so we can understand the data in a more meaningful way, and then do more to eliminate these crimes from our ranks, and ultimately be more transparent with advocates and others. And later this month, they’ll work with a team to pilot one of the largest deployments of a commercial cloud computing platform — to help streamline how we manage travel orders and reservations for DoD’s nearly 3 million military and civilian personnel, making it easier to use, and a more efficient use of taxpayer dollars. 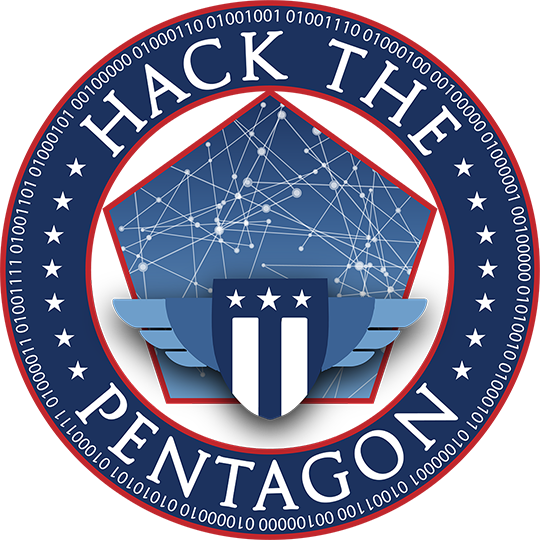 The wizards at DDS also helped us invite vetted hackers to test our digital security under a pilot program called Hack the Pentagon. Sounds crazy, right? But as you may know, this is actually something we’re stealing from the private-sector. It’s similar to the “bug bounties” that many of the leading tech companies have, but it’s the first one ever in the entire federal government. And while it’s still ongoing, I can tell you it has already exceeded all our expectations — over 1,400 hackers registered, so far discovering more than 80 bugs that qualify for a bounty, all this helping us be more secure, and as you’ll see in the coming weeks, at a fraction of the cost. Meanwhile, an additional way we’re investing in innovation is by developing new partnerships with the private-sector and technology communities here in Silicon Valley, and in America’s many other great innovation hubs. This, of course, is where DIUx comes in. Since opening its doors eight months ago, DIUx has been a signature part of our outreach to the Valley. 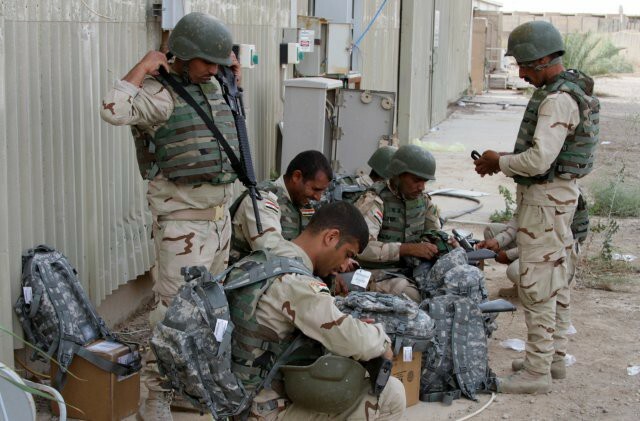 And even better, it’s made progress in putting commercially-based innovation into the hands of America’s soldiers, sailors, airmen, and Marines. Already, the DIUx team has made connections with more than 500 entrepreneurs and firms. 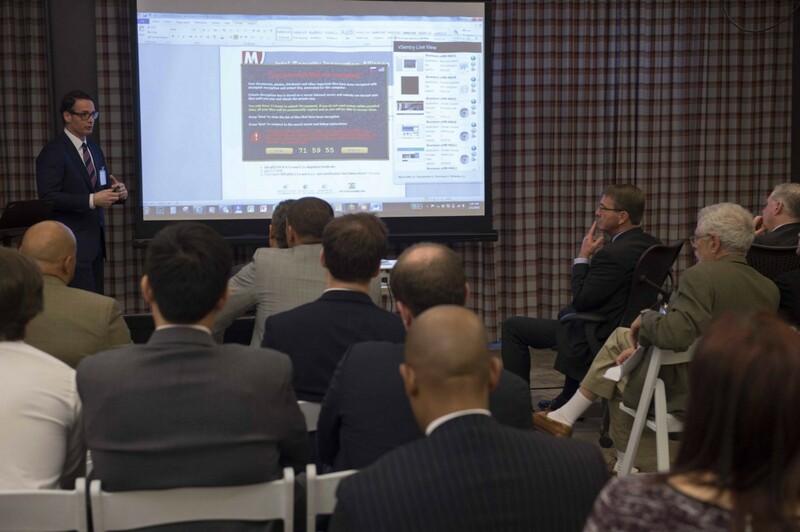 They’ve hosted several highly-attended forums, bridging the gap with cutting-edge commercial firms by connecting innovators with senior DoD leaders and a full range of Pentagon funding sources, fellowships, and rotation programs. And they’ve created a funding pipeline for nearly two dozen technology projects — spanning everything from wind-powered drones to data analytic tools — that will help address some of our most pressing operational challenges. One of the most important things since starting DIUx is how much we’ve learned over the last eight months — not only about what works, but also what can make it work better by being agile and throwing out what doesn’t work. I believe that doing business with the tech industry forces DoD to look ourselves in the mirror, which is healthy for any organization. In this case, it’s helped us identify not only successes, but also some shortcomings, both in how we engage with tech companies in Silicon Valley, and in the tools we use to accelerate the uptake of technology into the department. So, armed with this knowledge, we’re taking a page straight from the Silicon Valley playbook: we’re iterating, and rapidly, to make DIUx even better. As a result of all this great experience and in view of technology’s and the world’s imperative to stay agile, today we’re launching DIUx 2.0. And it has several new features I’d like to tell you about. The first new feature is that DIUx 2.0 will be a nationwide release — we’re not just iterating, we’re scaling. Since creating DIUx, it’s become even clearer to us how valuable emerging commercial technologies are to military systems and operational concepts. And because America has many places of technical excellence, we already intend to open a second DIUx office, to be located in an innovation hub in Boston. Second, we’re upgrading DIUx’s processing power. In our budget for the coming year, we’ve requested $30 million in new funding to direct toward non-traditional companies with emerging commercially-based technologies that meet our military’s needs. With co-investment from the military services, that number may just be a starting point. And to channel these resources into systems that will give our future warfighters a battlefield advantage, DIUx will exercise all avenues to fund promising technologies, including merit-based prize competitions, incubator partnerships, and targeted R&D efforts. The third new feature of DIUx is an operating system upgrade. Because the missions now assigned to DIUx are far broader than any one person can oversee, I’m establishing a partnership-style leadership structure for DIUx, one that includes technologists, investors, and business executives. Here, we’re taking yet another page from the Silicon Valley playbook, and making the leadership structure of DIUx as flat as any start-up here in the Valley. Let me introduce some of them to you. First is Raj Shah, the new Managing Partner of DIUx. Raj is a National Guardsman and an F-16 pilot, a combat veteran, and he’s also been co-founder and CEO of a successful technology startup. Next is Isaac Taylor, who joins DIUx from Google, where he was head of operations for Google X, the company’s R&D facility. There, he’s worked on Google Glass, on Google’s self-driving cars, on virtual reality technologies, and on many other Google programs. There’s also Vishaal Hariprasad, an Air Force Reserve captain, combat veteran, and Bronze Star recipient, who co-founded a successful cybersecurity start-up and served as head of threat intelligence at a large public company. And there’s Chris Kirchhoff, who has served as a civilian advisor to the Chairman of the Joint Chiefs, as a lead author of the White House’s Big Data Report, and as Director of Strategic Planning at the National Security Council. This impressive team of partners will be joined by an equally impressive team of reservists, who will serve at DIUx in a first-of-its-kind reserve unit. America’s reservists, our part-time soldiers, can provide unique value here, as they do in so many areas, given the fact that many of these citizen-patriots are tech industry leaders when they are not on duty for DoD. And I’m pleased to say that they’ll be led by Navy Reserve Commander Doug Beck — a decorated combat veteran who served in Iraq and Afghanistan, and who in his civilian life is Apple’s Vice President for the Americas and Northeast Asia, reporting directly to Tim Cook. As we move to this new leadership model, we’re also upgrading the I/O, so to speak, between DIUx and our operations back at the Pentagon. Going forward, DIUx will report directly to me. It will work in close coordination with our Deputy Secretary of Defense, Bob Work, and the Vice Chairman of the Joint Chiefs, Air Force General Paul Selva. And to maximize the rapid uptake of promising technology, I’m directing DIUx to work closely with DoD’s rapid acquisition cells and R&D community. DIUx will be a test-bed for new kinds of contracting with start-up firms. They’ll work quickly to execute time-sensitive acquisition programs. And they’ll move at the speed of business — we know how fast companies run here, and in other tech hubs around the country, and we expect DIUx 2.0 to run alongside them. I have to say that DIUx wouldn’t be where it is today without George Duchak, its founding director. We’re grateful to him for helping launch such a path-breaking initiative getting DIUx 1.0 off the ground, trying a whole lot of new things, and identifying potential partners. As we look forward to his continued service at the Pentagon — where I’ve asked him to leverage his experiences here to help expand innovative practices in other areas of DoD — we also look forward to what will come from the service leaders and their teams that will continue on here at DIUx, as they advance the great work they’ve been doing, and take it to the next level. Meanwhile, we’re committed to growing the circle of entrepreneurs and investors interested in our defense mission. And we will keep iterating together and learning from each other going forward. That’s one reason that I recently created a new Defense Innovation Board, to advise me and future defense secretaries on how to continue building bridges to the technology community, and on how we can continue to change to be more competitive. I’m very pleased that Alphabet’s Eric Schmidt has agreed to serve as the board’s chair — stay tuned in the coming weeks for who else will be joining him — and I’m looking forward very much to what they’ll be doing. As I’ve said before, this is an exciting time. For those interested in foreign policy and national security, there are lots of interesting challenges and problems to work on. And that’s also true for those interested in technology. But the intersection of the two is truly an opportunity-rich environment. Let me explain what I mean by that — because there are opportunities for partnership in every challenge we face. Right now, our men and women in uniform are working with our coalition partners from our worldwide coalition, in more and more ways and with more and more power every day, to accelerate the defeat of ISIL, which we will surely do. They’re training with our NATO allies in Europe to deter Russian aggression. 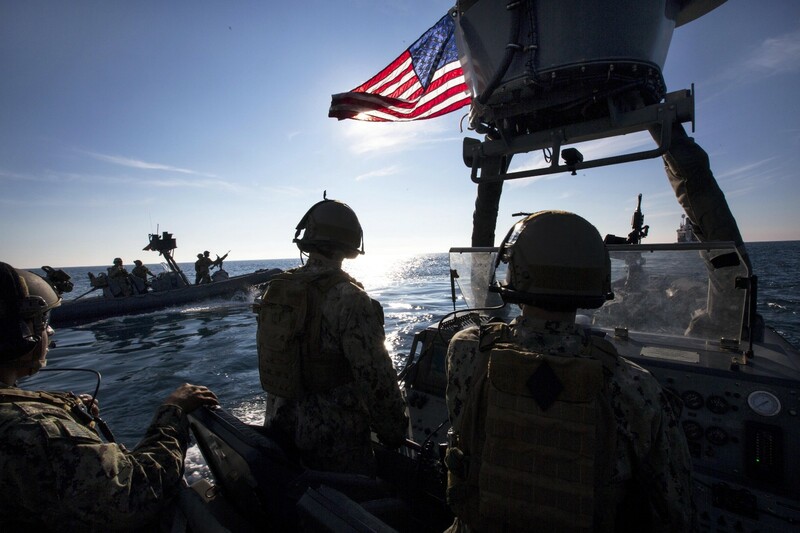 They’re sailing the waters of the Asia-Pacific, ensuring that the most consequential region for America’s future remains stable, secure, and prosperous for all nations. They’re standing guard on the Korean Peninsula, and countering Iran’s malign influence against our friends and allies in the Middle East. And all the while, they’re helping protect our homeland. In each of these missions, you can make a difference. Because whether it’s algorithms that help a self-driving boat track submarines or cyber defenses that guard our networks from intruders or biotech research into developing new materials that might be able to regenerate — something never seen before in human-made substances — or smaller electronics that lighten the load of our troops in the field or 3D printed microdrones that can be kicked out the back of a fighter jet moving at Mach 0.9, technology is a critical part of everything we do. And it’s critical to addressing every strategic challenges facing us today. That’s why DIUx matters. It has to do with our protection and our security, and creating a world where our fellow citizens can go to school, and live their lives, and dream their dreams, and one day give their children a better future. Helping defend your country and making a better world is one of the noblest things a business leader, a technologist, an entrepreneur, or young person can do. And we’re grateful to all who do so with us.